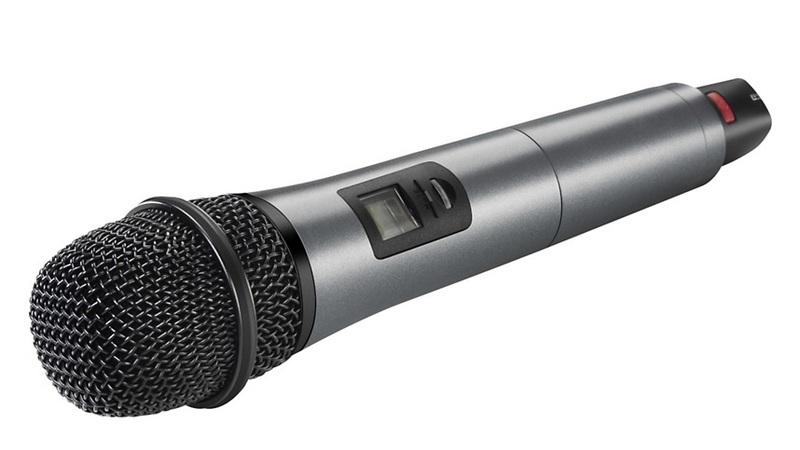 Enhanced, high-end wireless condenser mic technology perfect for any performance. No matter whether you are a speaker, presenter or rocking the crowd, the XS Wireless Vocal Set puts you in front of every stage. 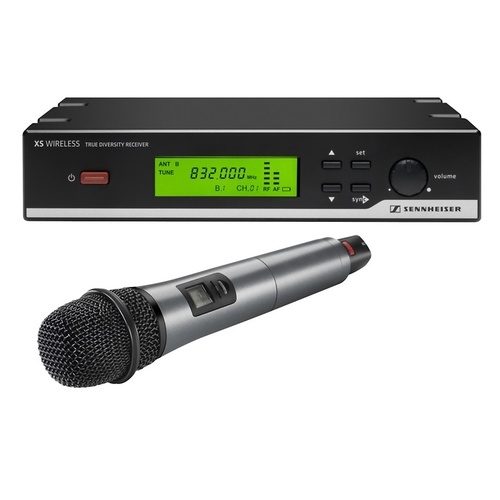 The XSW 65-A Vocal Set is part of the new XS series of wireless mics from Sennheiser, one of the industry's renowned leaders in microphone technology. 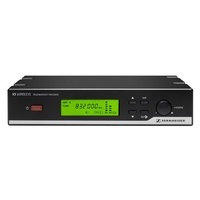 The XS series receiver runs on 960 tunable frequencies across 24 MHz, to avoid any possible interference with your sound. The receivers are all made of solid-construction metal housing, and provide up to 10 hours of operation time for a worry-free performance. 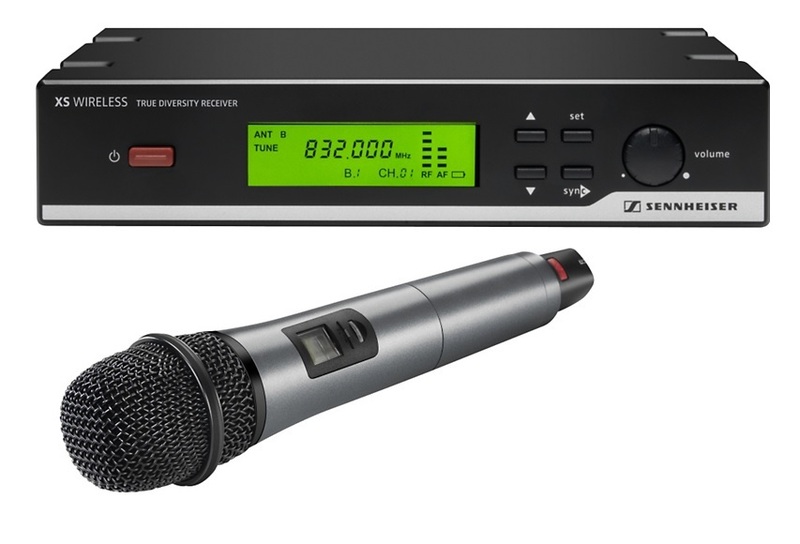 The XSW 65-A Vocal Set features a handheld wireless condenser mic transmitter with a supercardioid capsule, capable of 2.4 GHz synchronization between the transmitter and receiver, and 10mW of output, so you will be able to perform from a range of up to 250 feet in ideal RF environments. There are 8 frequency banks containing 12 coordinated frequencies each, which will allow for a fast setup of multi-channel systems. 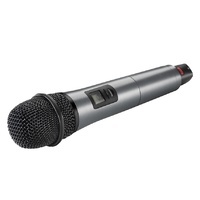 Connections include dual outputs with balanced XLR and unbalanced 1/4", selectable for either mic or line level uses. 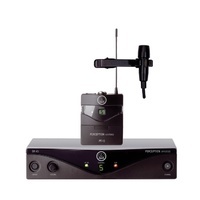 The package includes the SKM 65 handheld transmitter with supercardioid condenser head, EM 10 true diversity receiver, NT 2-3 power supply, mic clip, 2 rod antennas, and 2 AA batteries. 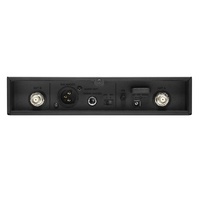 Take your stage performance or presentation to the next level, with the pure mobile clarity of the XSW 65-A Set today. Dimensions: 7-7/8" — 1-5/8" — 5"